For most parents, the arrival of a new baby is a time of happiness and excitement, however, for parents with a baby admitted to the neonatal intensive care unit, separation and concern for the infant’s wellbeing may instead lead to significant anxiety and stress. While we strongly encourage parents to visit as often as possible, ask as many questions as needed and to be actively involved in their baby’s daily care, this is not feasible for all parents and families, particularly if they have other children at home, work commitments, issues with transportation or live interstate. Webcam technology has been successfully implemented in NICU’s overseas, however, the Neonatal Intensive Care Unit (NICU) at the Canberra Hospital was the first NICU in Australia to introduce this service for parents in 2009. The Special Care Nursery (SCN) in the Centenary Hospital for Women and Children offers a web-based service, designed especially for parents of babies admitted to the Special Care Nursery. Canberra NICUCAM provides remote viewing of individual babies via a secure website, so that parents who are unable to be by the bedside can view live video images of their baby from 6am - 10pm. The video stream will only be available to parents who have signed an Image Transfer Consent Form and have been allocated a unique username and password. Once logged in, parents will be able to view images of their own baby streaming live from the nursery. They are able to 'invite guests' to view their baby and post comments to each other. 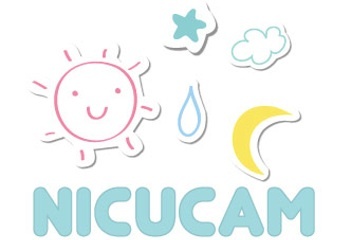 NICUCAM is a collaboration between the Canberra Hospital and ADTEC Communications PTY LTD.